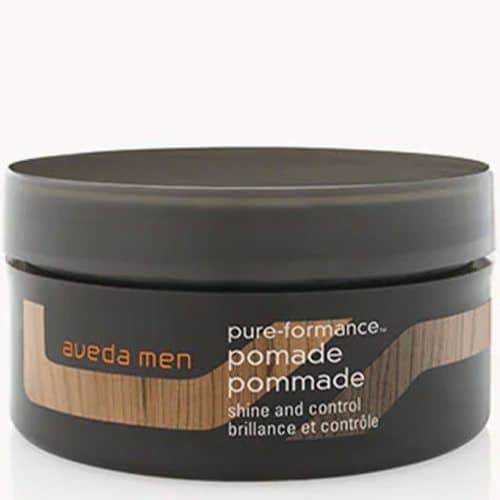 Choosing the best pomade can be rather tricky, as the grooming market offers such a broad selection of hair styling products that it’s very easy to get either the wrong one or leave the whole thing and go natural. So that you won’t be disappointed with your choice or lack of it, we have prepared an overview of the best pomades for men. What Is A Pomade And How To Apply It? Why Do You Need This Styling Product? Finding the best pomade is crucial if you want to keep your hairstyle on trend. Being a hair fashion trend that made a huge comeback, pomade is one of the most used styling products nowadays. It’s so valuable among barbers thanks to one-of-a-kind combo of a hold and finish. Styled with pomades, hair stays touchable and flexible while keeping in place firmly. We have put together the best styling tools on the market that will help you maintain your thatch like a pro. Now, what is pomade really? 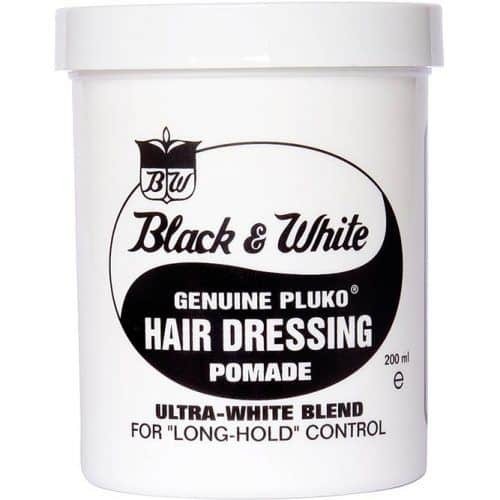 Broadly speaking, any creamy hair styling product can be called pomade. To narrow down the term, it’s a substance for styling hair that can be either water-based or oil-based. For a softer effect, opt for water-based pomades. In case you need a really strong hold or more defined texture, stick to oil-based one. 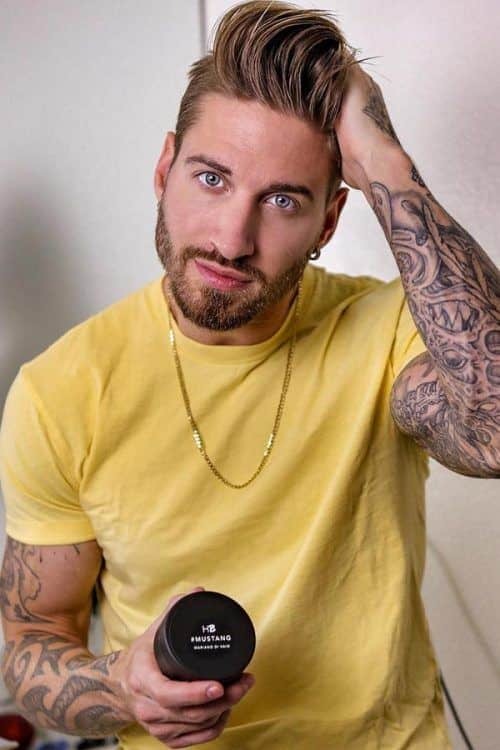 There’s nothing much to say about how to use pomades because you simply rub it between fingers and rake them through your locks, shaping the desired hairstyle. If you want to achieve the best result, use this tools on slightly damp hair, which will help your hair to absorb the oils readily. Sometimes, guys get confused when they face the “Pomade vs Gel” dilemma. The main difference between the matte pomades and the shiny gels is that the former leaves your locks flexible and movable while the latter makes them stiff and crunchy. Both products offer you equal styling benefits: a strong hold and easy shaping. 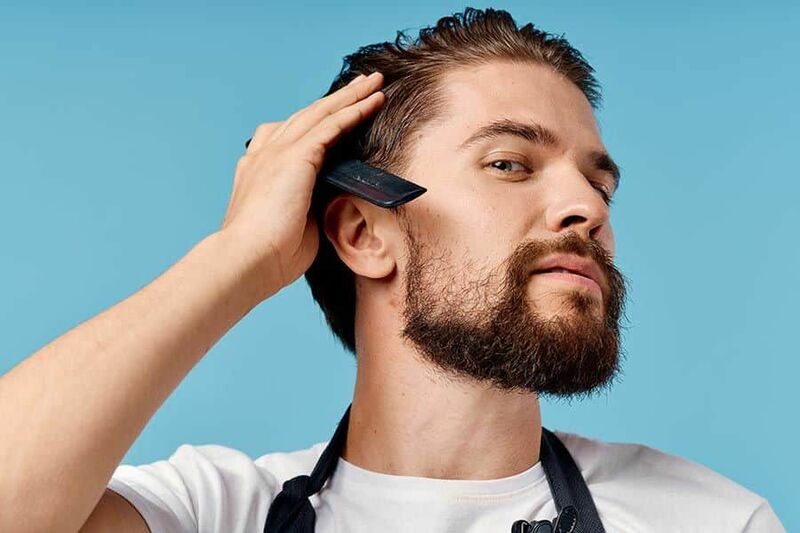 Since with the help of pomade hair looks qualitatively more natural and breezy, which is so much on trend now, it’s almost the only viable hair styling option. Hence, if you want to make the most out of your hairstyle, the need for pomade is obvious. With an array of choices of pomades out in the market, it gets difficult to pick the best one. Thus, we’ve selected the most popular hair products for men so that you could find something that works for you. 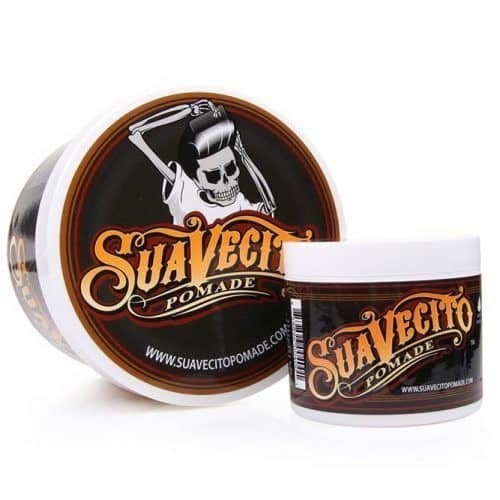 Suavecito styling tool combines two highly valuable properties – great quality and low price. Even though it’s able to tame the wildest hair, you won’t experience any difficulties washing it out. Being water-based, Suavecito matte tool will give your locks a strong hold and medium shine. 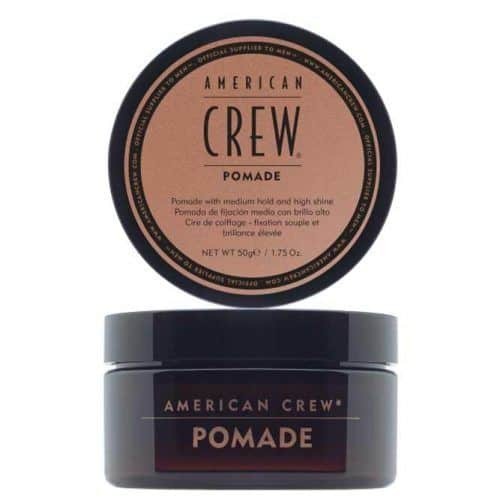 American Crew Pomade is a water-based hair styling product that is suitable for every hair type. It brings an intensive shine to your mane with medium hold. Crew tool is strong enough to style your hair the way you like while keeping it movable and touchable. 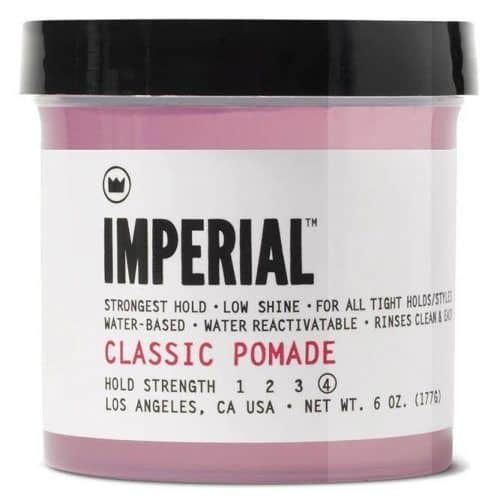 What Imperial Pomade will impress you with first is not the shine but the hold. Although it keeps your hair in place strongly, the water-based texture allows smooth applications and easy removal. Interestingly, you can give your hairstyle upkeep during the day, as the Classic Pomades can be “reactivated” with the help of water. 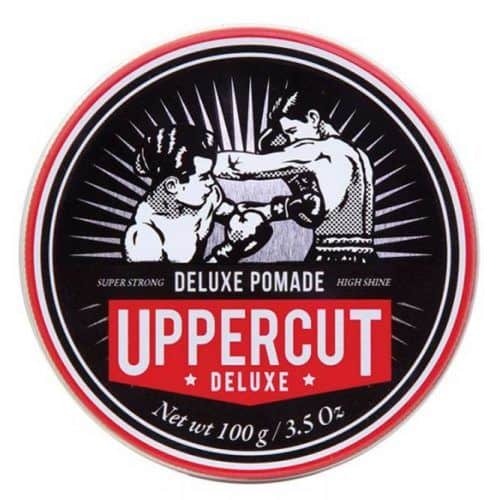 The Uppercut tool has an intriguing background, as the manufacturers were inspired to create their hair styling products by the grandfather who used to be a dapper boxer. 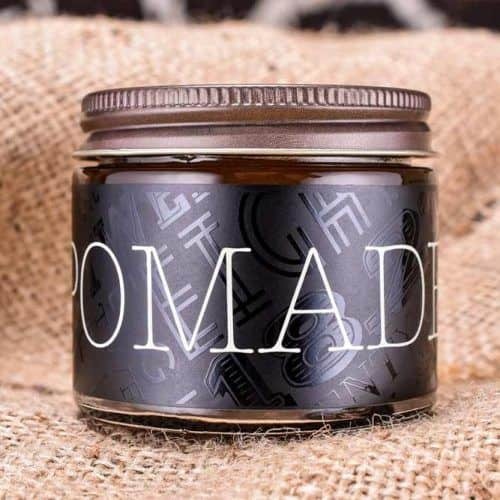 The Deluxe Pomade is a water-based styler that delivers a strong hold to your mane and gives it a moderate shine. As a bonus, it has a light vanilla scent. 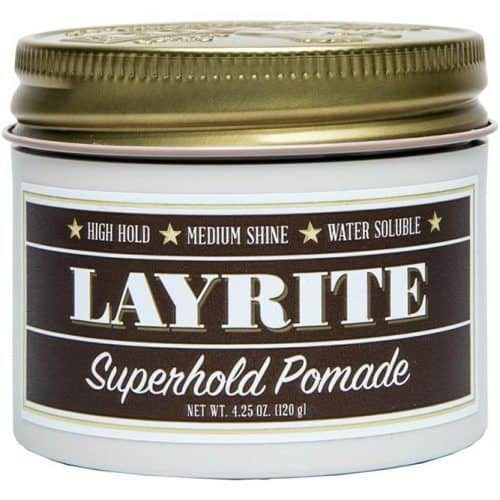 As the name implies, Layrite Pomade has a very strong hold. Despite this, it still can be washed out easily. If you have dense and rough hair, this water-based product will stand in good stayer. Superhold fix gives a modest shine but makes it possible to create plenty of hairstyles. With Black And White Hair Dressing Pomade hair looks stellar. They say the one and only James Dean used to style his hair with this product, as well as many other Hollywood celebrities. Being an oil-based product with a medium hold, it’s weightless and easily applicable. You won’t get much of a shine from it though. If you’re really looking for the best pomade for men, we strongly recommend taking a closer look at this one. It’s not just a classic oil-based stling product. It’s a real dinosaur that has come through the ages and survived despite the high rivalry. 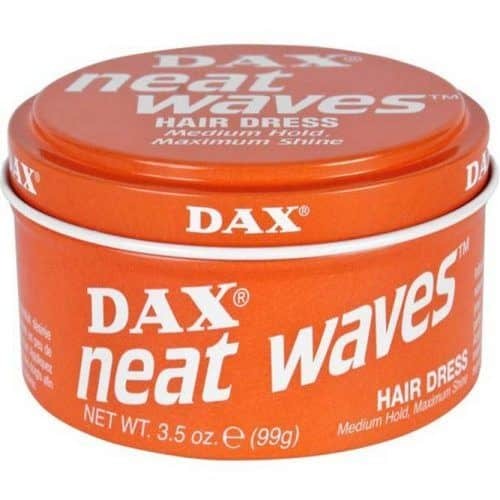 The Dax Neat Waves Hair Dress provides a medium hold with a high-gloss shine. 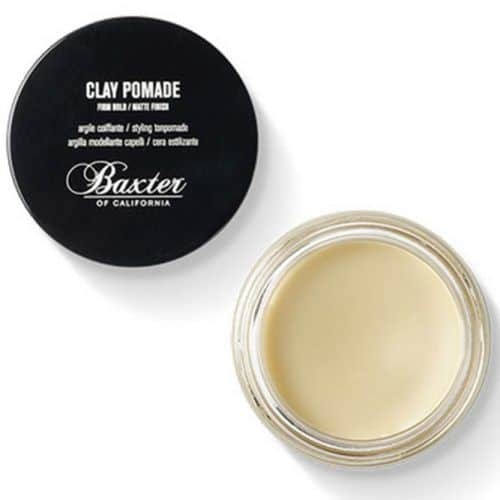 As you can easily get from its name, the Baxter of California Clay Pomade also has the properties of clay. The name doesn’t say though it additionally includes beeswax. Although this Clay is perfect for creation ruffled hairstyles, it can be used for multiple other ‘dos. The formula is oil-based and paraben-free. You shouldn’t expect much shine from it. Despite having a strong hold, the pomades gives you an opportunity to retouch your style during the day. 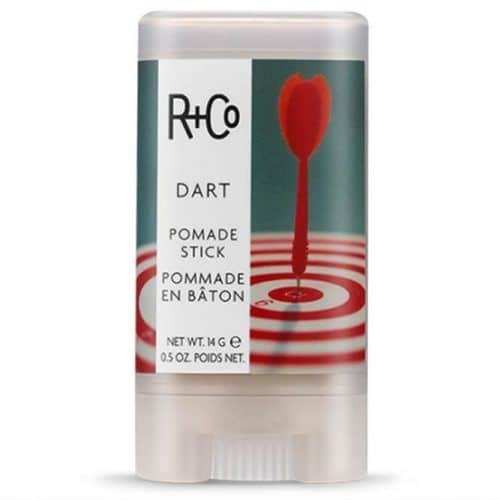 R+ Co Dart Pomade Stick thanks to its shape offers you a great precision. Thus, you can either style your whole hair or only tame a couple of flyaways, which makes it the best hair product to use on the go. However, if you’re seeking for a strong hold, you’ll probably want to skip on this product, as it’s more about texture than a fixation. Being oil-based, it will give your hair an extensive shine and vitality. 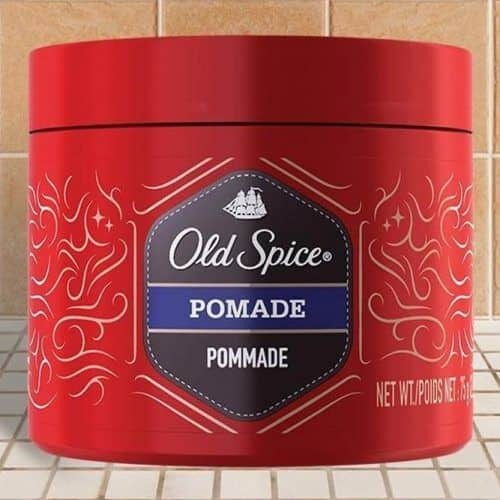 Old Spice Pomade reminds more of a wax or gel than a pomade. However, you’ll get the same all-day-staying medium hold that you’d normally get with the pomades. The finish though will be matte. Truly, pomades are one of the most versatile hair products for men. 18.21 Man Made Pomade will provide you with a medium flexible hold and high shine. Although being an oil-based tools, it doesn’t give a greasy feel and removes effortlessly. 18.21 works perfectly for any hair type and length and can be used to create any hairstyle, from sleek to textured. 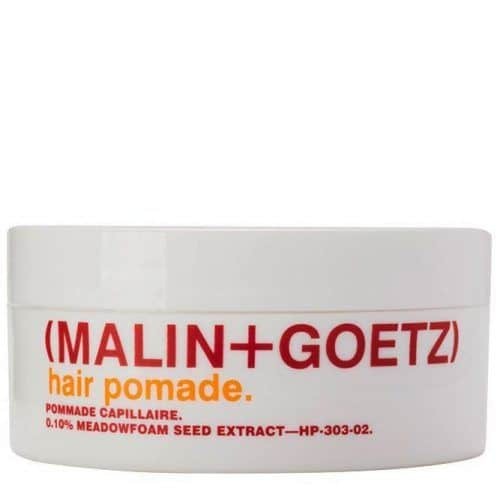 Malin + Goetz is an oil-based hair pomade that offers you a strong hold for a textured and voluminous look. It works best on short to medium lengths, creating a natural long-lasting effect. Aveda Pure-Formance styling tool shows itself best on short to shoulder-length locks, giving them firm hold and exceptional shine. It’s oil-based and amazingly scented. With this product hair can obtain not only any shape and style but also an intense refreshing smell. 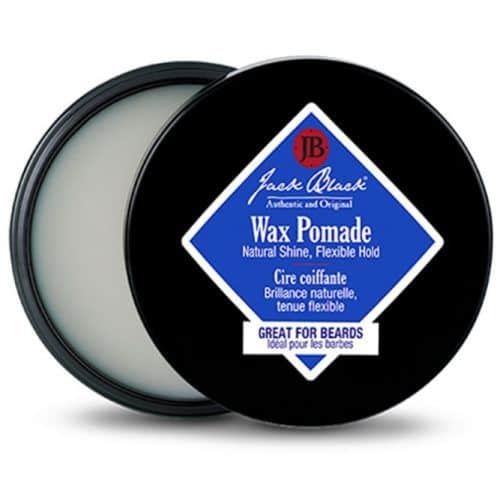 If you’re tired of the pomade vs wax battle, Jack Black Wax-Pomade is the right product for you. It manages to partner pomade and wax in one product. It will give your locks a flexible hold and a natural shine. In addition, with Jack Black, you can style not only your hair but a mustache and beard as well. If you still think that a styling tool is an old-school trend, we regret to say you’re misjudging completely. It’s made a huge comeback into a grooming world and apparently isn’t going to leave it. Thus, if you don’t have your best pomade yet, we strongly recommend going through our guide once more to make the right choice.